Personal Injury lawyer Peter Hosharian specializes in auto accidents, premise liability, workers compensation and slip and fall. In the past 17 years, we have generated millions of dollars for hundreds of victims of injuries suffered because of accidents involving automobiles, pedestrians, motorcycles, and bicycles accidents, slip and falls, emotional distress, and other types of negligence. 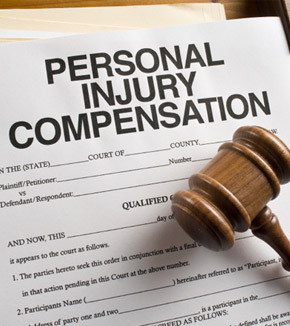 Our staff is equipped to handle all aspects of Personal Injury Claims from the initial claim with an insurance company throughout a jury trial before the Superior Court. If you are injured in an accident in an automobile, on a Motorcycle, on a bicycle or as a pedestrian, you should seek immediate medical attention. As soon as possible, you should obtain information from all people involved in the accident including their name, address, phone number, and insurance information. You should immediately contact the police and have them prepare a traffic collision report. It is also very important to get the name, address and phone number of anyone who may have witnessed the accident. You should take pictures of the damage of any vehicle and any visible bodily injury. Once you have obtained as much information as possible at the scene of the accident, immediately contact the Hosharian Law Firm. Insurance companies want to pay you as little as possible and they will take advantage of you if they know you are not represented by an attorney. The quicker you contact your attorney, the greater your chances of success. Our staff will immediately report your case to the appropriate insurance companies. We will assist you in obtaining the best possible value for the damage to your vehicle, your pain and suffering, your loss of earnings and earning capacity, your loss of consortium and your emotional distress. If you are the victim of a slip and fall accident, you should immediately seek medical attention. As soon as possible, you should report your fall to the owner/manager of the property on which you were injured. You should inspect and take a picture of whatever it was that caused you to fall. It is also very important to get the name, address, and number of the establishment where you were injured and any independent witnesses. The Hosharian Law Firm is located in Glendale, CA and serves clients in and around Glendale, Burbank, Pasadena, Altadena, Tujunga, Silverlake, Echo Park, Pico Rivera, Los Angeles, Studio City, Sherman Oaks, Van Nuys, Encino, Reseda, Woodland Hills, Thousand Oaks, Agura Hills, Montebello, Whittier, Hollywood, Beverly Hills, and Ventura County. Disclaimer: The information provided throughout this Website is general in nature and may not apply to any particular set of facts or circumstances. It should not be construed as legal advice and does not constitute an engagement of the Hosharian Law Firm, aka Hoshraian Law, or establish an attorney-client relationship.